Benahavis, a mountain village 7km from the coast, is situated between Marbella, Estepona and Ronda. Renowned for its restaurants – they call it the dining room of the Costa del Sol – it is above all a picturesque place, where one can find incredible mountain- and sea-views. Boasting 12 of the Costa del Sol’s 70 golf courses, and that will go up to 15 in the next couple of years, it is also the hotspot for golf lovers. 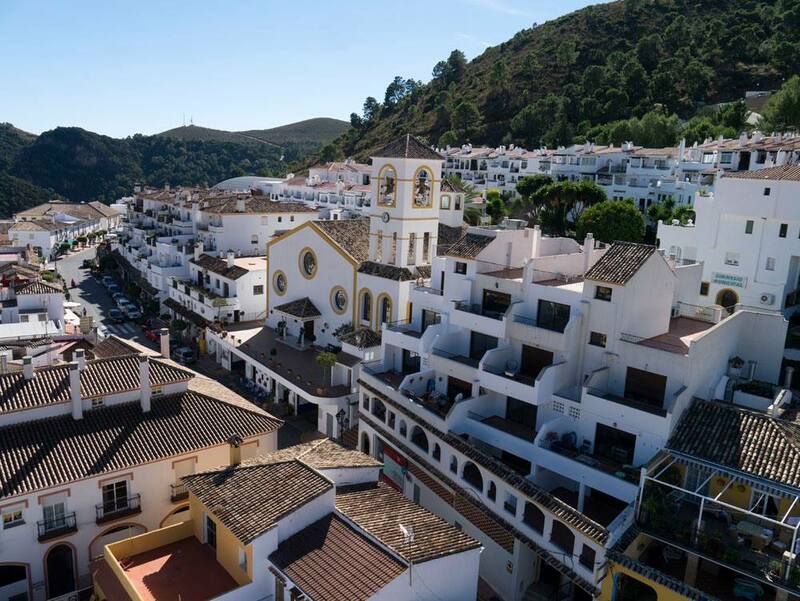 On top of that, Benahavis has plenty of unspoilt nature where you can walk or ride a bike exploring the fauna and flora and enjoy the fantastic views. Located on the Southern face of the Serrania de Ronda mountain range, Benahavis is the most mountainous village on the western Costa del Sol. Its terrain is traversed by the Rivers Guadalmina, Guadaiza and Guadalmanza. Regions of great natural and historic interest are to be found within its boundaries, such as El Cerro del Duque, Daidin and the Montemayor Castle. On top of that, Benahavis is only a stone throw away from the beaches of the Costa del Sol. The Benahavis municipality comprises about 145 km2 and the medium altitude is 150 meters. The climate is Mediterranean, with a medium temperature of 17º Celsius, and the registered population in 2016 was 6,660 inhabitants, of which more than half are foreigners although that is not reflected in the town hall personnel, which has only a couple of foreigners working, and you have to be lucky to find someone speaking English, not talking about other languages.